• The Holton school district is proposing a small decrease in its mill levy for the 2018-19 school year. Find out how much and what the district’s budget for the coming year entails. • This week marks the start of a new school year in Jackson County-area schools, all of whom open their doors for the new year on Thursday. Learn about each district’s planned activities leading up to the first day of school. • The Jackson County Ministerial Alliance New Hope Center Food Pantry is in need of donations, as well as a new director. • The county’s delinquent tax list for 2017 has been released. Find out how much in property taxes is past due, as well as whether you owe any back taxes. • The Purple Heart Profiles continue with the story of a Holton High School alumnus who made the ultimate sacrifice in the Philippine Islands during World War II. The Recorder is also starting a new series about Kansas voting laws. 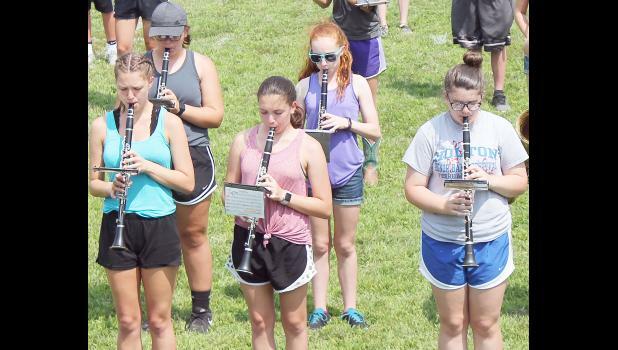 Log in to your holtonrecorder.net account and check out the Aug. 13, 2018 edition to find out more.